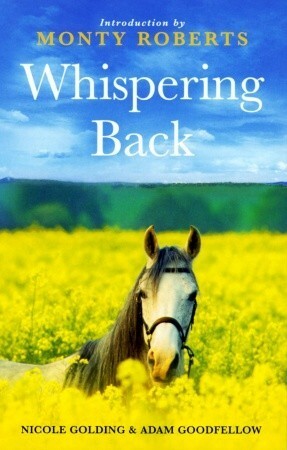 An Autobiography with Horses, part II. After meeting Monty Roberts in 1996, Nicole Golding and Adam Goodfellow were among the first people in the UK to become ‘horse whisperers’. 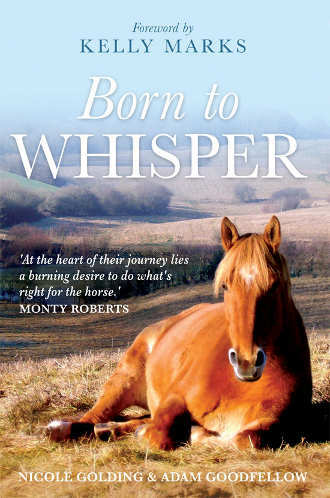 Born to Whisper is the much-awaited sequel to their first book, Whispering Back, they chart the highs and lows of working in one of the world’s most romantic professions, as they help people to make sense of their horses‘ behaviour. From wild, untouchable horses, to those who violently attack anyone who comes within striking distance, they have seen it all. Yet their story goes far beyond tales of remedial horses. From surfing to rock music, from the Cotswolds to Hawaii, from tragedy to the joy of giving birth – in a stable, no less – this book is a remarkable chronicle, taking the reader on a voyage that helps make sense of the contradictions of modern life.